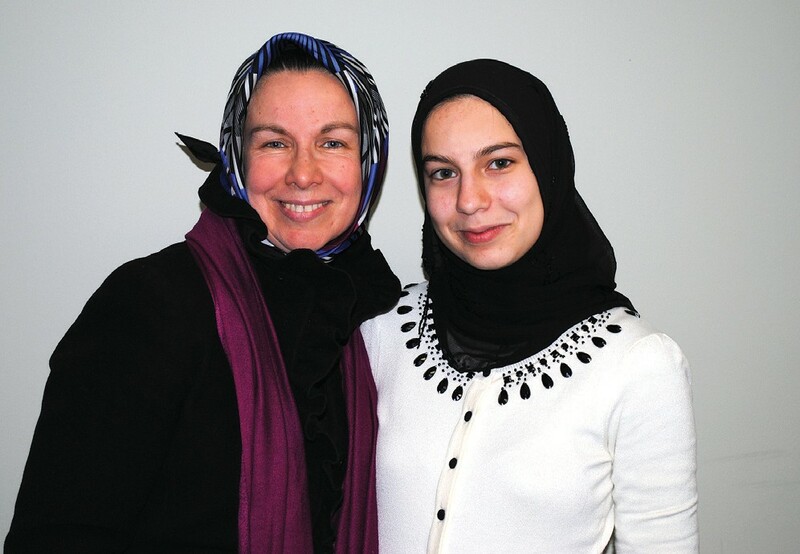 CAHS senior Mariam Salman, right, with her mother May Ghalib, MD. FLINT TWP. — Yale University is on the horizon for Mariam Salman, 17. The Carman-Ainsworth High School senior recently was accepted into the Ivy League school, and the Carman- Ainsworth Board of Education recognized Salman for her achievement at its Jan. 11 meeting. Salman, who is a member of the Muslim Student Association (MSA), National Honor Society (NHS) and fouryear varsity tennis player, said she was excited about receiving the early action acceptance letter. Salman wants to go the premed route to study ophthalmology. She choose that field due to her own experiences with vision. While she dreams of Yale, Salman said she also has applied to the University of Michigan and the University of Michigan-Flint where she has received full rides to both. While she is yet undecided on whether she will attend Yale, she has until May 1 to make her decision. A straight A student at Carman, Salman has taken Advanced Placement (AP) classes and scored a 34 on the ACT. Along with her teacher, Salman said her parents, who are both professionals, stressed the importance of doing well in school to her and her three sisters, Mena, Sumaya and Zena. Her mother also credits her faith for her daughter’s success and achievements. For those seeking out a path to their future, Salman has words of advice.